In the construction industry, you never know when you might need to lift something heavy, and more often than not, it doesn’t warrant having a tower crane in, as the hoist can safely carry men and materials to the upper floors, and in this situation, a mobile crane hire is without a doubt, the best solution. 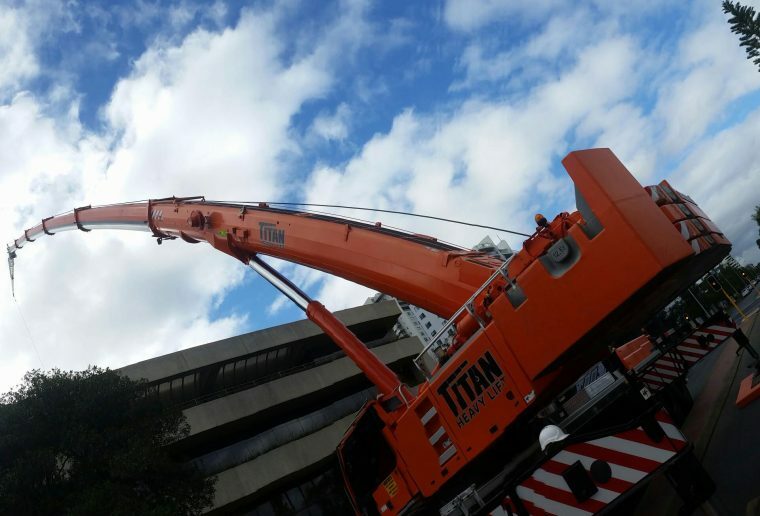 At Titan Heavy Lift, we have an exclusive 24/7 mobile crane hire service, and that gives you total flexibility over loading or lifting issues. Imagine your depot is expecting a new machine to be delivered and it is too heavy for your existing machinery to unload it, and with time of the essence, you can call out a fully equipped mobile crane at any time, and your unloading problem is solved. It might be an emergency delivery, and the project requires the load to be in place as soon as possible, which makes for a logistical challenge, but with an emergency crane hire outfit at your disposal, you have it covered. It might be that your depot already has a crane, which normally handles all of your deliveries, but in the event it breaks down, which can often be the case, you need another option. Our range of cranes can deal with most large loads and by making a connection with us, we are always there at any time in the future. The transport industry is renowned for delays, and it could be caused by bad weather or logistical issues, but if, for any reason, a load is due to arrive in the middle of the night, fear not, as we can have the right lifting equipment on site and ready to go to work. Whatever the reason, if you require a mobile crane at short notice, we are the people to talk to, and with a swift response service, nothing is too much trouble for our helpful staff, and with very experienced operators, we can unload in any environment or conditions. You might require a mobile crane for a few hours, to unload something that your bobcat can’t handle, and with time of the essence, you need a prompt solution. We offer a round the clock service, and with a team of dedicated professionals, the whole experience will be result in a smooth and efficient operation. The ability to call on this kind of service in the middle of the night can really be a lifesaver, especially when that important load arrives late evening and the driver needs to go. No matter how careful we are, accidents do happen, and sometimes it requires a heavy crane to clear the area, and with a round the clock service, you can quickly recover the load without too much of a delay. At Titan Heavy Lift, we pride ourselves on our “can do” attitude, and if ever you need a mobile crane, contact us anytime day or night and we’ll have a unit there for you.